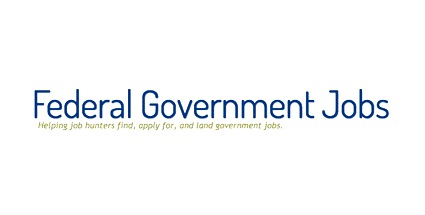 Most Recent Federal Government Jobs in Nigeria. Apply Now! Tamuno Reuben Saturday, April 15, 2017 0 Comment Job Opportunities. Are you aware that registration for the federal government proposed job (Jobs for All) for unemployed Nigerians has started? If you are still oblivious of this, I am pleased to inform you that as part of the Federal Government's plan to provide Jobs for the Unemployed Nigerians, it has started nationwide registration. The essence of this registration is to provide the government with up-to-date data of unemployed Nigerians in order to be able to link job seekers up with existing vacancies in the government. Therefore, all unemployed Nigerians are to register for the Federal government Jobs initiative. This was made known by the Deputy Director, Information and Public Relations of the National Directorate of Employment (NDE), Edmund Onwuliri. Never take chances! Never hesitate to register for this job as you don't know what may come out of it. Take advantage of this rare opportunity. Jobs For All is a portal that was developed primarily to connect the unemployed with job opportunities. This portal facilitates registration of job seekers, Employers, skill providers etc. 2. Any means of identification. Applicants can use either of these: Driver License, International Passport, National Identification Card, Voter Card or School Identification Card. 3. National Identity Number (NIN). 5. Curriculum Virtae (CV). CV must be in PDF format. 6. An active mobile number. To register for the Federal Government Job For All Recruitment 2017, you will have to visit the official recruitment website. Click HERE to visit the official recruitment website or Click HERE to visit the registration page in order to start your registration. It is 100% necessary to register as the registration will make it very easy to fix appropriate unemployed candidates with vacancies in public and private sectors. For now there is no update on recruitment. However, detailed updates on Registration of unemployed Nigerians and Recruitment will be made available on this blog. Always stay tuned!